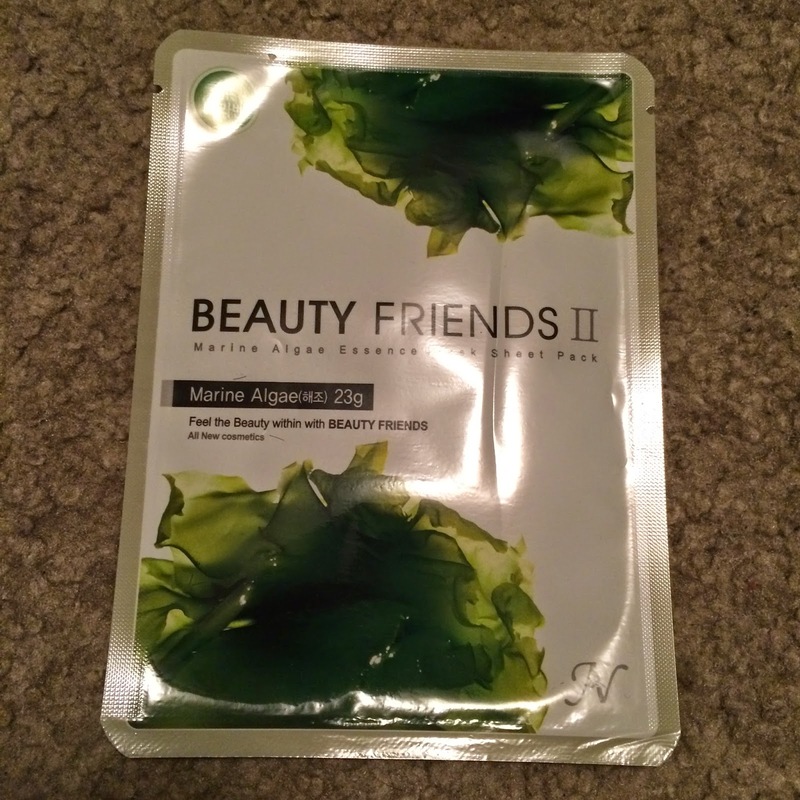 This Marine Algae mask was purchased from eBay seller "simplenavy" - $25.99 for 30. This mask contains algae and various types of deep-sea minerals and vitamins that help to rejuvenate the skin. It is supposed to mildly moisturize and refine your skin. 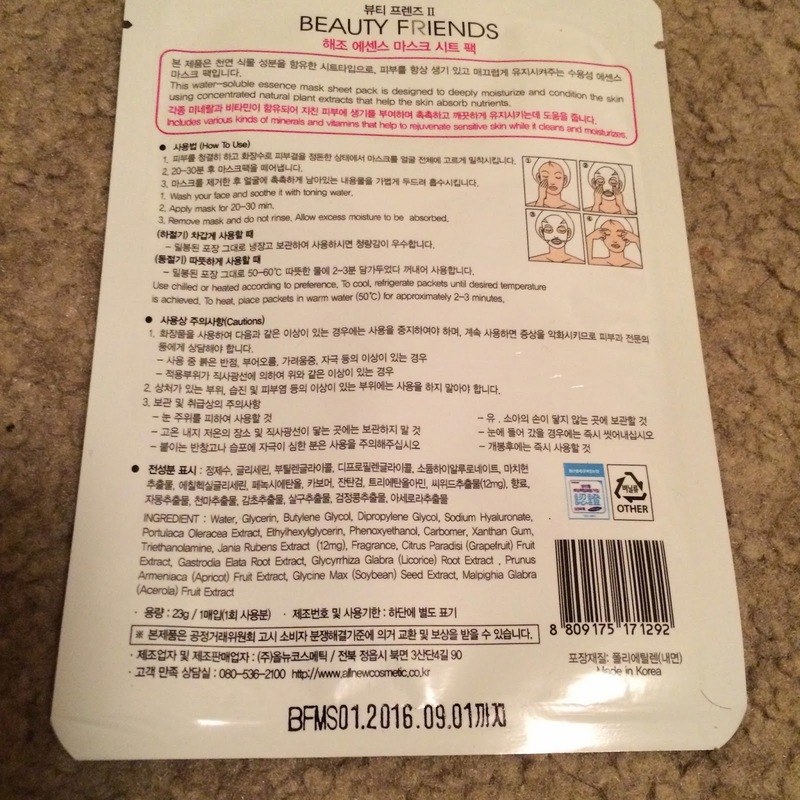 I love that these masks include both Korean and English on the packaging. During... I love the fit of this mask. 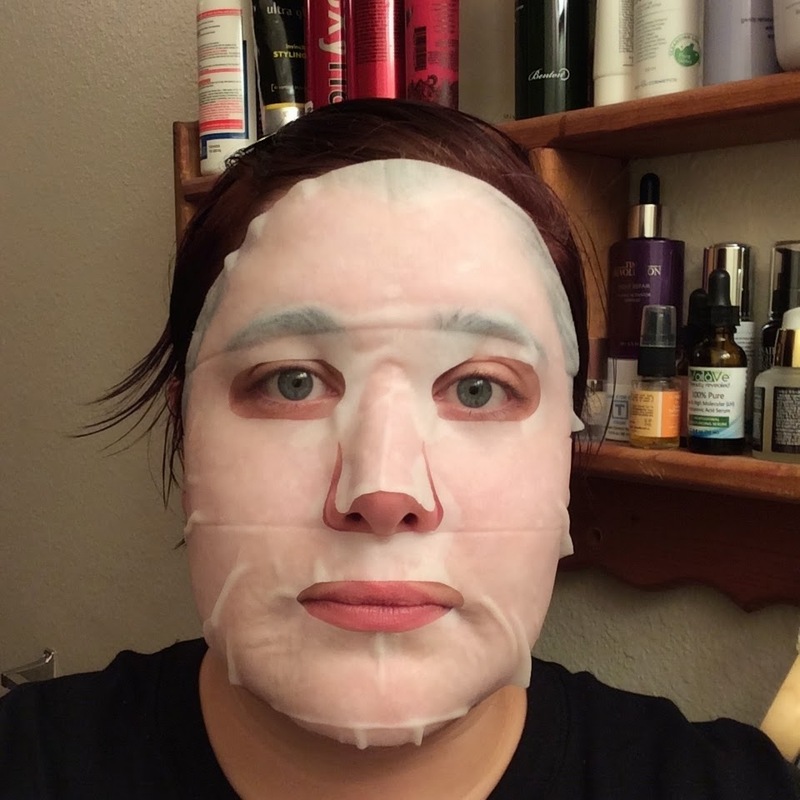 I've never really seen a cotton mask fit this well! After. Notice the light reflecting off the side of my face? That's how hydrated my face is right now! 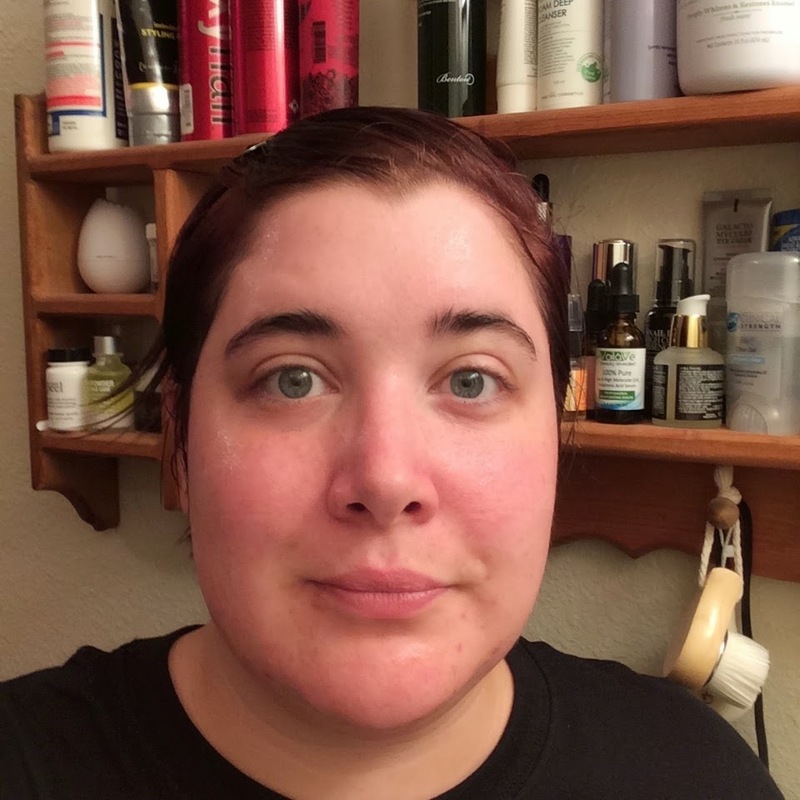 This Marine Algae mask made my face feel hydrated and moist. Similar to the Red Ginseng mask I recently tried from Beauty Friends, this mask also had a weird "fermented" smell to it. 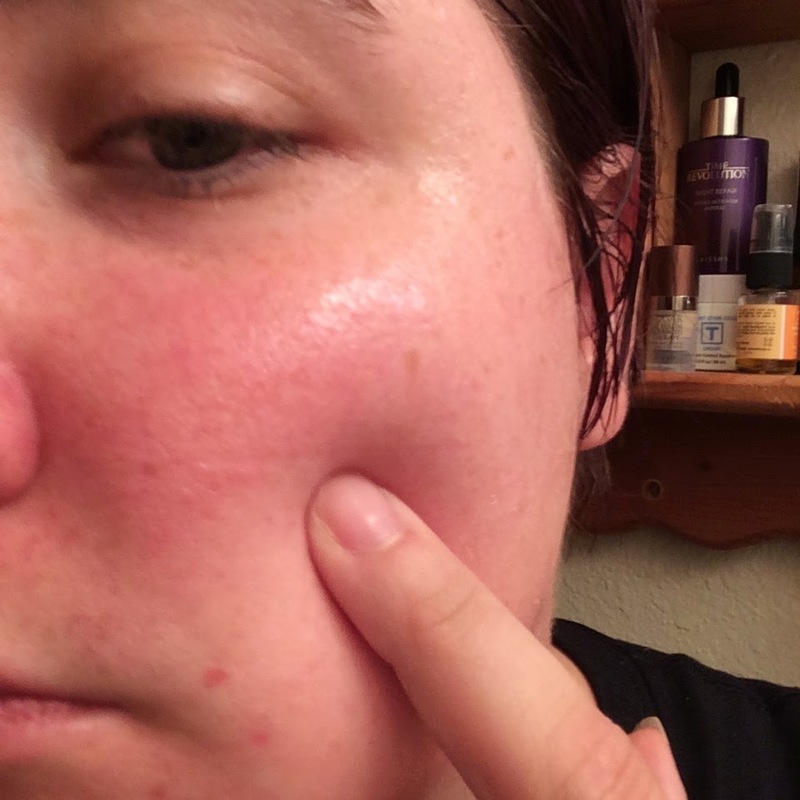 I experienced a bit of pinkening in my face after I removed the mask, but it disappeared quickly. The remaining essence absorbed nicely and did not leave my face feeling sticky. 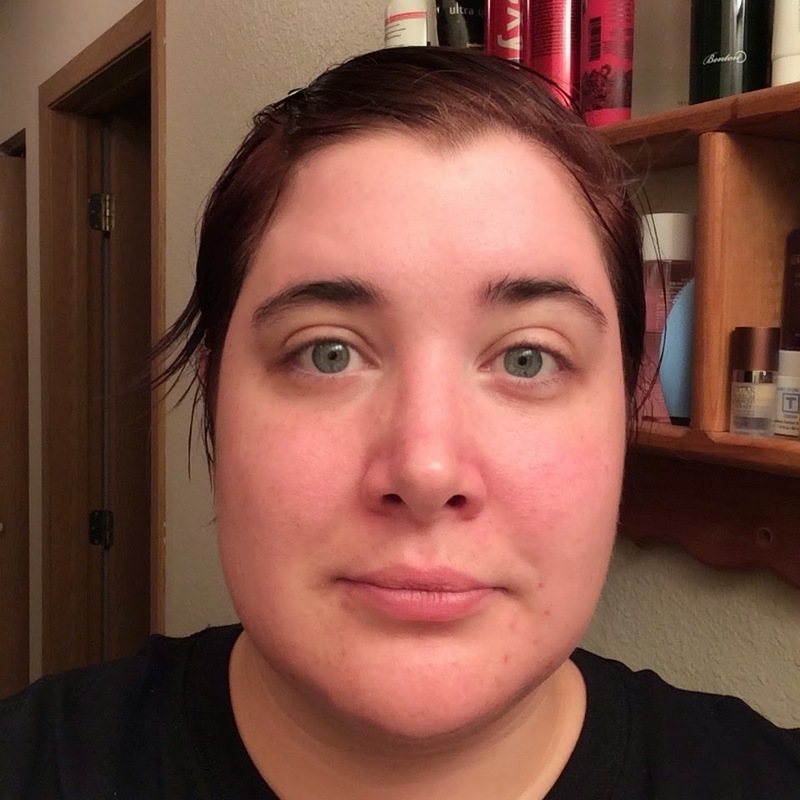 Great to find your review via the #kbeautybloghop Looks like a good mask. The fermented products can smell a bit grim but they really work so it's worth putting up with.